As the hardreading staff perused yesterday’s Boston Sunday Globe, we happened upon this full-page A3 ad. Total Wine & More is waging total war on the nation’s alcohol laws — and Massachusetts is the new front line. The largest retailer of beer, wine, and liquor in the country, Total Wine has successfully challenged longstanding alcohol laws in numerous states, tilting the marketplace to its advantage through a mix of litigation, lobbying, and rallying support from customers . . . 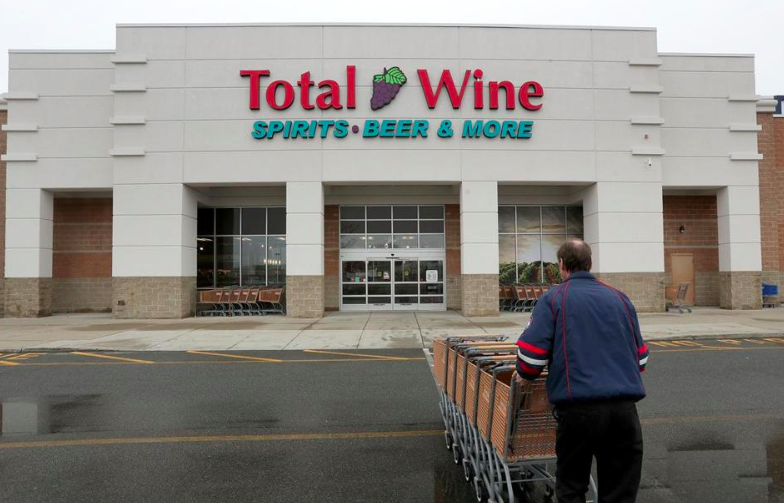 In Massachusetts, Total Wine has sued to invalidate a state regulation that prevents retailers from selling alcohol below cost, a common practice in other industries. The company is also about to launch a public relations campaign here challenging a state rule prohibiting alcohol retailers from issuing discount coupons and loyalty cards. It has submitted the proposed changes to a task force convened by Treasurer Deborah Goldberg to streamline the state’s alcohol laws. 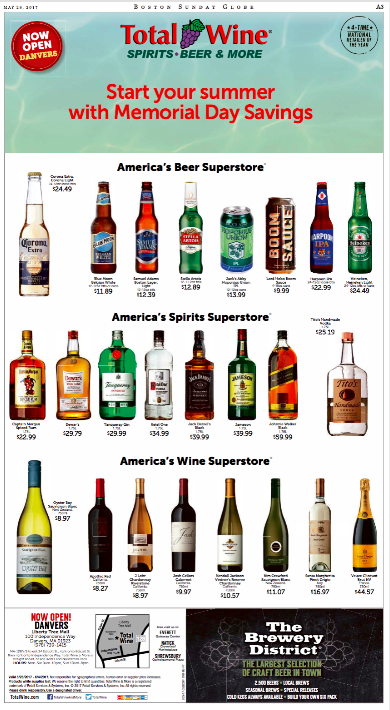 Here’s the interesting part: Nowhere in the Globe piece is there any mention of the tens of thousands of dollars the $tately local broadsheet has raked in from Total Wine ads over the past few months. That’s very much like the Globe’s recent non-disclosure of its financial interest while covering the rumpus over the fabled Citgo sign; the paper raked in more than a hundred thousand dollars in ads touting the Kenmore Square icon but never mentioned them in their coverage. Memo to Globe editor Brian McGrory: We know you need the advertising revenue. But c’mon – at least be honest about it. This entry was posted on Monday, May 29th, 2017 at 11:47 am and is filed under Uncategorized. You can follow any responses to this entry through the RSS 2.0 feed. You can leave a response, or trackback from your own site.